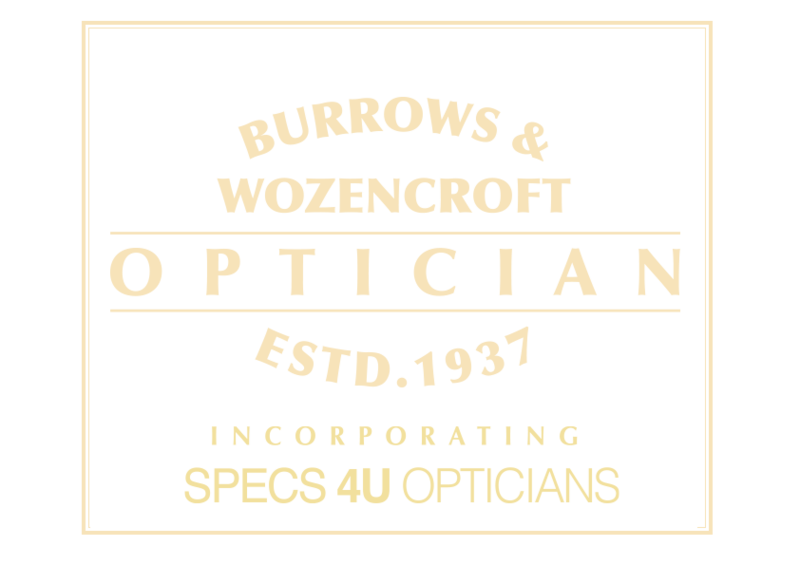 Burrows & Wozencroft has been providing a top quality eye care service in Derby since 1937. The aim has been to create a warm and welcoming environment within the clinically furnished surroundings. In a market dominated by larger optical groups here is a practice dedicated to providing patients with a reassuring, individual and professional service. The staff are committed to providing advice on quality, value and service. Professional guidance is provided on eye-care, glasses and contact lenses. Emphasis is always placed on a personal service, correctly fitted frames and accurately dispensed lenses and contact lenses. 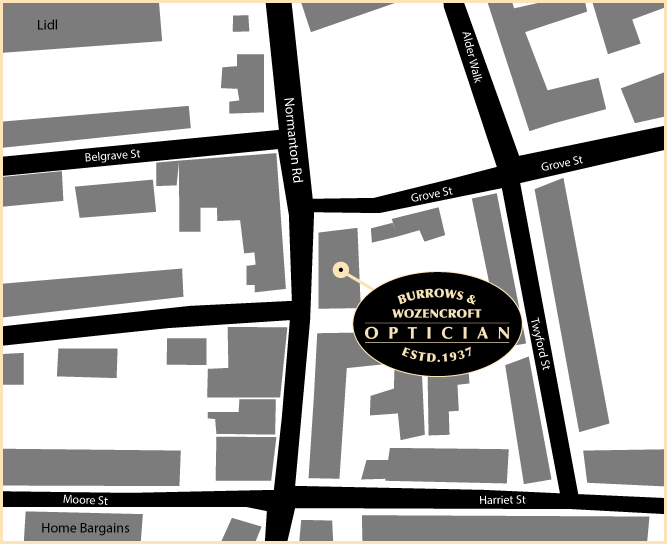 Burrows & Wozencroft Opticians offers both private and NHS examinations. Having an onsite laboratory means glasses can glaze and repair most spectacles while you wait. FREE glasses are available for children and those adults on the appropriate benefits. Burrows & Wozencroft is known for the widest selection of frame styles hand-picked from around the world. The largest range of quality branded eyewear in Derby can be found at the practice. Designer ranges include sought after brands such as Ray-Ban, Emporio Armani, Polo Ralph Lauren and Versace - all without city centre price tags. The practice offers a renound comprehensive contact lens fitting and aftercare service and its optometrists work closely with ophthalmologists at Royal Derby Hospital. Specialist services include low vision assessments for the visually impared and colorimetry / prescription coloured overlays for dyslexia and visual stress disorders. There is ample parking available at Grove Street car park just a few yards away.